The following expenses given by sections 40, 40A and 43B are expressly disallowed by the Act while computing income chargeable under the head “Profits and gains of business or profession”. The amount paid is interest, royalty, fees for technical services or any other sum (not being salary). The aforesaid amount is chargeable to tax in India in the hands of the recipient. The aforesaid amount is paid/payable to a non-resident. If the above three conditions are satisfied, the assessee (the payer) is supposed to deduct tax at source and deposit the same with the Government. Case 1 - TDS is deductible but not deducted. Equalisation levy is deductible and such levy has not been deducted. Equalisation levy is deductible (and it is so deducted) but it is not deposited [on or before the due date of submission of return of income under section 139(1)]. If, however, equalisation levy is deducted/deposited in a subsequent year, the aforesaid consideration shall be allowed as a deduction in computing the income of the previous year in which such levy has been paid. Any amount paid by way of royalty, licence fee, service fee, privilege fee, service charge or any other fee or charge (by whatever name called), which is levied exclusively on a State Government undertaking by the State Government. Any amount which is appropriated (directly or indirectly) from a State Government Undertaking by the State Government. an authority, a board or an institution or a body established or constituted by or under any Act of the State Government or owned or controlled by the State Government. Section 40(a)(iii) is applicable if salary is paid outside India or paid to a non-resident and tax has not been paid to the Government nor deducted at source under the Income-tax Act. The employer provides non-monetary perquisites to employees. Tax on non-monetary perquisites is paid by the employer. The tax so paid by the employer is not taxable in the hands of employees by virtue of section 10(10CC). While calculating income of the employer, the tax paid by the employer on non-monetary perquisites is not deductible under section 40(a)(v). the benefit derived by or accruing to the assessee from the payment. If the above conditions are fulfilled, the Assessing Officer can disallow the expenditure to the extent he considers it excessive or unreasonable by the above objective standards or otherwise. Payment made by an individual to his or her relative. Payment made by a company to a director of the company or any relative of the director. Payment made by a firm/AOP/HUF to a partner/member or a relative of partner/member. Payment made to an individual who has a substantial interest in the business of the payer or a relative of such individual. Payment made to a company who has a substantial interest in the business of the payer, any director of such company or relative of such director. Payment made to a firm/AOP/HUF who has a substantial interest in the business of the payer or partner/ member of such person or relative of partner/member. 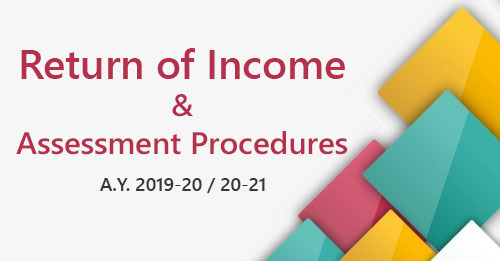 The assessee incurs any expenditure which is otherwise deductible under the other provisions of the Act for computing business/profession income (e.g., expenditure for purchase of raw material, trading goods, expenditure on salary, etc.). The amount of expenditure exceeds Rs. 10,000 (Rs. 35,000 if an assessee makes payment for Plying, Hiring or Leasing Goods Carriages). A payment (or aggregate of payments made to a person in a day) in respect of the above expenditure exceeds Rs. 10,000 (Rs. 35,000 if an assessee makes payment for Plying, Hiring or Leasing Goods Carriages). The above payment is made otherwise than by an account payee cheque or an account payee demand draft or use of electronic clearing system through a bank account. If all the above conditions are satisfied, then 100 % of such payment will be Disallowed. Payment made to a bank (including private sector banks, co-operative bank, credit societies), LIC, etc. Payment made by book adjustment by an assessee in the account of the payee against money due to the assessee for any goods supplied or services rendered by him to the payee. Payment made to a cultivator, grower or producer in respect of the purchase of agricultural or forest produce or product of animal husbandry (including livestock, meat, hides and skins) or dairy or poultry farming or fish or fish products or products of horticulture or apiculture (even if these products have been subjected to some processing provided the processing has been done by the cultivator, grower or the producer of the product). Payment made to a producer in respect of the purchase of the products manufactured or processed without the aid of power in a cottage industry. Payment made to a person who ordinarily resides or carries on business in a village not served by any bank. Payment of terminal benefits, such as gratuity, retrenchment compensation, etc., not exceeding Rs. 50,000. Payment made by an assessee by way of salary to his employee after deducting tax and when such employee is temporarily posted for a continuous period of 15 days or more in a place other than his normal place of duty or on a ship and does not maintain any account in any bank at such place or ship. Payment required to be made on a day on which the banks were closed either on account of holiday or strike. Payment made by any person to his agent who is required to make payment in cash for goods or services on behalf of such person. Payment made by an authorised dealer or a money changer against purchase of foreign currency or travellers cheques in the normal course of his business. 1. Generally X pays salary to his employees by account payee cheques. Salary of December 2018 is, however, paid to three employees A, B and C by bearer cheques (payment being Rs. 6,000, Rs. 10,000 and Rs. 10,500, respectively). 1. Rs. 10,500, being 100% of salary paid by bearer cheque to C, will be disallowed. Rs. 51,000 by an account payee cheque on May 16, 2018. Nothing will be disallowed out of the payment of Rs. 5,000 in cash on May 11, 2018, as the payment does not exceed Rs. 10,000. 100% of Rs. 30,000 will be disallowed. Nothing will be disallowed out of Rs. 51,000. 3. Z Ltd. purchases goods on credit from A Ltd. on May 10, 2018 for Rs. 6,000 and on May 30, 2018 for Rs. 5,000. The total payment of Rs. 11,000 is made by a crossed cheque on June 1, 2018. 3. Though the amount of payment exceeds Rs. 10,000, nothing shall be disallowed. To attract disallowance, the amount of bill as well as the amount of payment should be more than Rs. 10,000. 4. A Ltd. purchases goods on credit from a relative of a director on June 20, 2018 for Rs. 50,000 (market value: Rs. 42,000). The amount is paid in cash on June 25, 2018. 4. Out of the payment of Rs. 50,000, Rs. 8,000 (being the excess payment to a relative) shall be disallowed under section 40A(2). As the payment is made in cash and the remaining amount exceeds Rs. 10,000, 100% of the balance (i.e., Rs. 42,000) shall be disallowed under section 40A(3). 5. B Ltd. purchases raw material on credit from A who holds 20 per cent equity share capital in B Ltd. (the amount of bill being Rs. 36,000, market price being Rs. 9,000). It is paid in cash on July 26, 2018. 5. Out of the payment of Rs. 36,000, Rs. 27,000 (being the excess payment to a person holding a substantial interest) shall be disallowed under section 40A(2). The remaining amount (i.e., Rs. 9,000) does not exceed Rs. 10,000. Nothing shall be disallowed under section 40A(3) even if the payment is made in cash. when a provision has been made for payment of a sum by way of any contribution towards an approved gratuity fund. Therefore, no deduction shall be allowed in respect of any provision made for the payment of gratuity to the employees, even though the assessee may be following the mercantile system of accounting, unless it is a provision for the purpose of payment of a sum by way of any contribution towards an approved gratuity fund. In other words, any provision for unapproved gratuity fund (for meeting future liability) is not deductible. An employee retires during the current year. The employer does not maintain any gratuity fund. Gratuity is paid to him during the current year. It is deductible during the current year. An employee retires during the current year. Gratuity is payable to him. A part of the amount is paid during the current year and the balance will be paid in the next year. A provision is made towards gratuity in the books of account of the current year for making payment in the next year. The entire amount is deductible during the current year (if no deduction was claimed earlier). In this case, deduction is available during the current year even if provision is made for gratuity fund, which is unapproved. A company has 50 employees. To meet future liability to pay them gratuity at the time of retirement, a gratuity fund is created and the employer makes contribution every year. Employers’ contribution to this fund is deductible only if the fund is an approved gratuity fund. X retires from the service of Y Ltd. on May 31, 2018. The company pays gratuity of Rs. 1,60,000, according to the provisions of the Payment of Gratuity Act, 1972. Y Ltd. does not maintain any provision for gratuity account. Where gratuity is paid during the previous year or where gratuity has become payable during the previous year, it is deductible if no deduction has been claimed on the basis of provisions earlier. Consequently, Rs. 1,60,000 is allowed as deduction for the assessment year 2019-20. Z Ltd. maintains an approved gratuity fund. A sum of Rs. 1,00,000 being the employer’s contribution towards the gratuity fund, is debited to the profit and loss account for the year ending March 31, 2019. Where any provision is made for the purpose of payment of a sum by way of any contribution towards an approved gratuity fund, it is allowed as deduction. It is assumed that provisions of section 43B are satisfied . Any sum paid by the assessee as an employer by way of contribution towards Recognised Provident Fund, or Approved Superannuation Fund or an Approved Gratuity Fund, is Deductible to the extent it is required by any law. The contribution/payment is made by an assessee as an employer. It is paid towards setting up (or formation of) any trust, company, association of persons, body of individuals, society or it is paid by way of contribution to any fund. The contribution or payment is not required by any law. any sum payable to the Indian Railways for the use of railway assets. The above expenses are deductible in the year in which payment is actually made. There is, however, one exception given below. If the aforesaid payment is actually made on or before the due date of submission of return of income, deduction can be claimed on Accrual Basis. Due date of submission of return of income in the case of a company (or in the case of a taxpayer whose books of account are required to be audited under any law) is September 30 of the assessment year. In the case of any taxpayer (having international or specified domestic transactions) due date of submission of return of income is November 30 of the assessment year. In all other cases, the due date of submission of return of income is July 31 of the assessment year. 1. Any sum payable by way of tax, duty, cess or fee, by whatever name called, under any law for the time being in force. Due amount should be paid on or before the due date of furnishing the return of income u/s 139(1) in respect of the previous year in which the liability to pay such sum was incurred. 2. Any sum payable by the assessee as an employer by way of contribution to any provident fund or superannuation fund or gratuity fund or any other fund for the welfare of employees. 3. Any sum payable to an employee as bonus or commission for services rendered. 4. Any sum payable by the assessee as interest on any loan or borrowing from any public financial institution or State Financial Corporation or State Industrial Investment Corporation like IDBI, IFCI, UPSIDC, Delhi Financial Corporation, etc. in accordance with the terms and conditions of the agreement governing such loan or borrowing. However, in cases (1) to (6), if the payment of outstanding liability is made after the due date, deduction can be claimed in the year of payment. 5. Any sum payable by the assessee as interest on any loan or advance from a scheduled bank or a co-operative bank (other than a primary agricultural credit society or primary co-operative agricultural and rural development bank) in accordance with the terms and conditions of the agreement governing such loan. 6. Any sum payable by the assessee as an employer in lieu of any leave at the credit of his employee. 7. Any sum payable by the assessee to the Indian Railways for the use of railway assets.